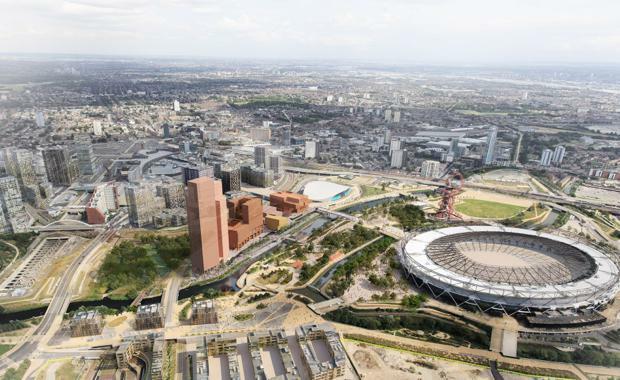 The designs for the $2.48 billion London Olympic park redevelopment, Olympicopolis, have been revealed for the first time. The Olympicopolis is a new entertainment and cultural district located at London Olympic Park and will showcase art, dance, history, craft, science, technology and design. The precinct has been designed by architects Allies and Morrison and O'Donnell and Tuomey. They will also be working alongside Spanish firm Arquitecturia, and landscape architects Gustafson Porter.